The game company Crytek is again facing financial trouble and hasn’t paid many of its employees in months, according to a number of people who work there. Paychecks have been missing or late throughout most of 2016, Crytek employees say. Staff in Crytek’s main office in Frankfurt, Germany have not received checks in nearly three months, according to a person who works there. Last Friday, management at Crytek informed staff that the company was trying to secure funding from various sources—loans and perhaps asset sales—but had not yet succeeded. People from Crytek’s other studios in Budapest and Sofia have also reported missing payments, both in conversations with Kotaku and anonymous messages that have gone viral on sites like Imgur. Crytek’s Glassdoor is full of complaints about the company not paying staff on time. On August 15, I received an anonymous message from someone claiming to be a Crytek employee who said that payments had been delayed all year. The message said that May paychecks had arrived in June, June paychecks had arrived in July, and August paychecks hadn’t come in yet. On August 16, the alleged Crytek employee contacted me again with news that he had been paid, but in the weeks and months that followed, rumors of financial trouble continued to swirl. A current Crytek employee, speaking anonymously to protect their career, verified that the studio has been late on payments throughout 2016, much like they were two years ago. And again, sources say, Crytek management has not been communicating to staff about why this is happening or when they will be paid. Some Crytek staff have left. Others have threatened to leave. And a few hold out hope that the company can still turn things around. It’s been a rough few years for Crytek, a multinational developer best known for games like Ryse and Crysis. The Frankfurt studio has lost a number of employees to Cloud Imperium, the developer behind Star Citizen, which has been poaching Crytek staff for years now. 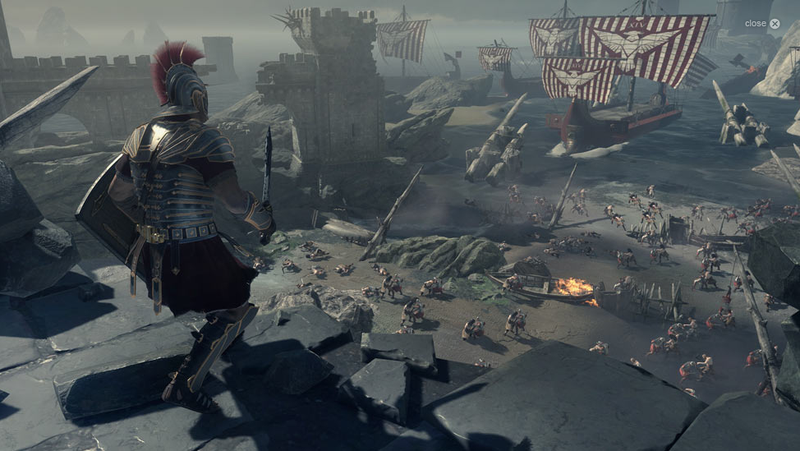 Back in 2014, Crytek ran into serious money problems after cancelling several of their ongoing games including a potential sequel to Ryse. For months, Crytek’s staff went unpaid as the studio’s management stayed quiet about what was happening. Crytek’s UK office rebelled and eventually secured a deal with Deep Silver to start a new studio and finish work on Homefront: The Revolution, while Crytek’s U.S. office shut down. In late 2014, Crytek stopped the bleeding thanks to the Homefront sale and a licensing deal with Amazon that was reportedly worth between $50 and $70 million. Amazon used Crytek’s engine technology to build their own free engine, which they called Lumberyard and released earlier this year. That money helped save the company, but it was apparently fleeting. Crytek’s PR have not responded to multiple requests for comment.